I remember when my dad was diagnosed. He told us all that it was no big deal, that it was routine nowadays. That the procedure wouldn't be that bad and that he would quickly recover. He was lucky. They caught his prostate cancer early before it had a chance to spread or get bigger. Early detection was the key and my dad was man enough to make sure he did whatever it took to make it go away. After the procedure, I had never seen my dad so weakened. It scared me a little to see him like that. I had always pictured him as this strong guy who could take on anything; my dad, my hero. The same guy who taught me how to shave when I was six. He recovered fully and in 2006, I did a walk/run for prostate cancer with my dad and younger brother for the Us Too organization in Chicago. I raised $235 towards prostate cancer research that year. I would like to double that amount this year but I need some help. 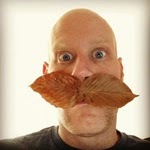 This time when Movember rolled around, I knew that I would be growing a mustache dedicated to my dad. He used to let me watch him shave his beard and now I am growing one for him. For his fight and for all the other men fighting men’s health issues including prostate cancer, testicular cancer, and mental health issues, I banded with other dads and bloggers to raise money and awareness of this great cause. 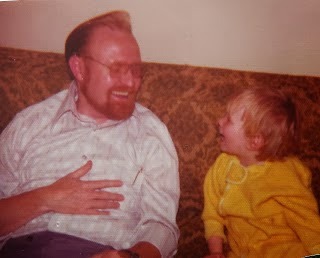 Please help me achieve my goal as a tribute to my dad, Dave Bernholdt. P.S. Once you're done donating, you can find more of Chris on his blog, twitter, and Facebook page.